Equipped with a rechargeable battery of 5000mHA Lithium-Ion, the Bluetooth speaker backpack made by Stealth Labs can provide up to 6 hours of playback on a single charge. The launch via Kickstarter this week, the speakers' backpack has already passed its lift target thanks to over 120 backers with still 29 days left. Pledges start from $120 and will be available for the next 17 hours, at which time the price will increase again. This 12-litre speaker backpack equipped with two high-speed Bluetooth speakers together when a theft design. Store your equipment in the water-repellent outer casing and enjoy the sound on the go directly from your smartphone thanks to the Bluetooth connection. "Share the music's gift anywhere. From the beach campfire, backyard garden and spontaneous dance parties, Speaker Backpack was designed to protect the atmosphere. You don't have to drag around big speakers with you. 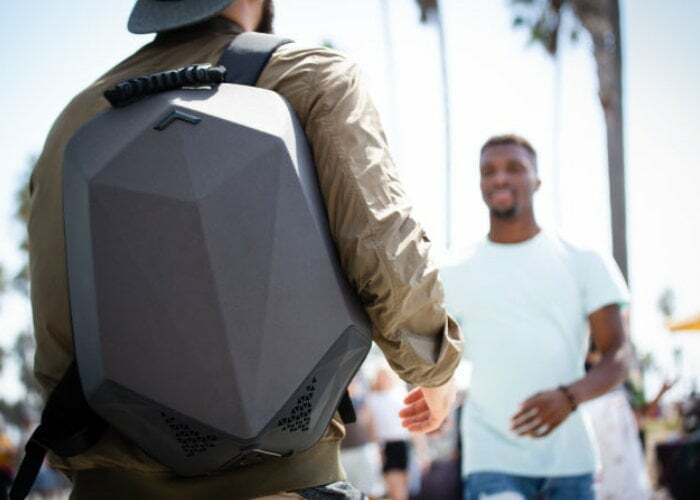 Wear powerful Hi-Fi sound with your daily wear No matter where you go, Speaker Backpack weighs only 5kg, which means you get insanely loud sound without the usual weight. " For more details click the below link. So what are your thoughts on this gadget? Comment down below!